Globe members are serving the cause of Christ all over the world – from the United States and Europe to Asia, Africa and Latin America – making Jesus known, and sharing His message, to those who have never heard. Your partnership is greatly appreciated! Globe was formally incorporated in 1973 and has been a member of the Evangelical Council for Financial Accountability (ECFA) since 1986. 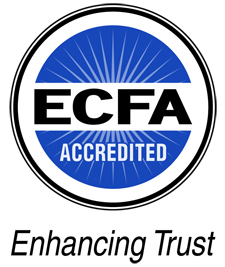 The ECFA was started by the Rev. Billy Graham to uphold standards of excellence and integrity for Christian non-profit organizations. We are honored to have maintained this vital affiliation for over 30 years. Globe is recognized by the I.R.S. as a non-profit 501(c)3 organization and all gifts to Globe are 100% tax deductible. Please note that some users are reporting issues with using the Safari web browser on this site. If you experience difficulty, please try using another browser such as Chrome, Firefox, or Microsoft Edge.